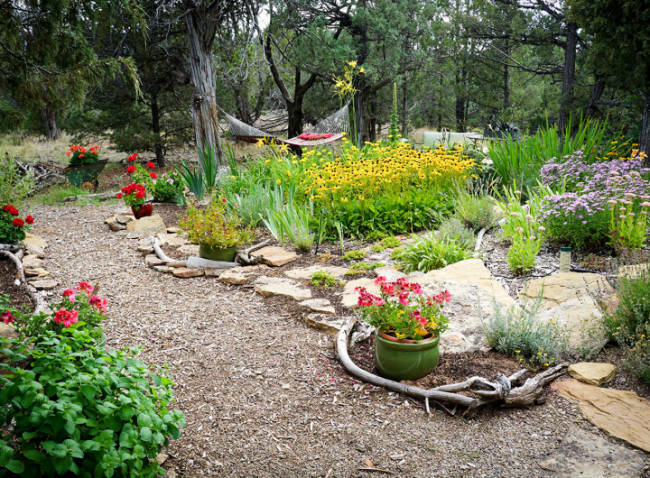 Willowtail Springs is an Eden in itself and just 10 minutes from the amenities of downtown Mancos, CO. Willowtail Springs is also about 10 minutes from the gates to Mesa Verde National Park. This artistic and landscaped retreat is quiet and secluded and has the best of both worlds with such a convenient locale. 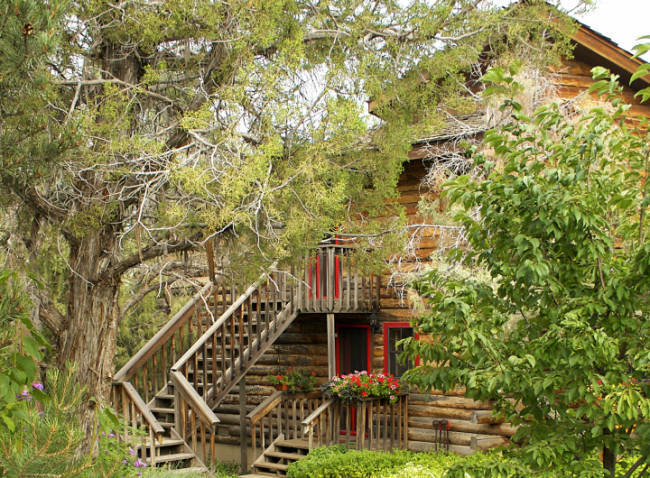 Couples and small groups will adore the private lakefront cabin lodging on 60 beautiful protected acres. 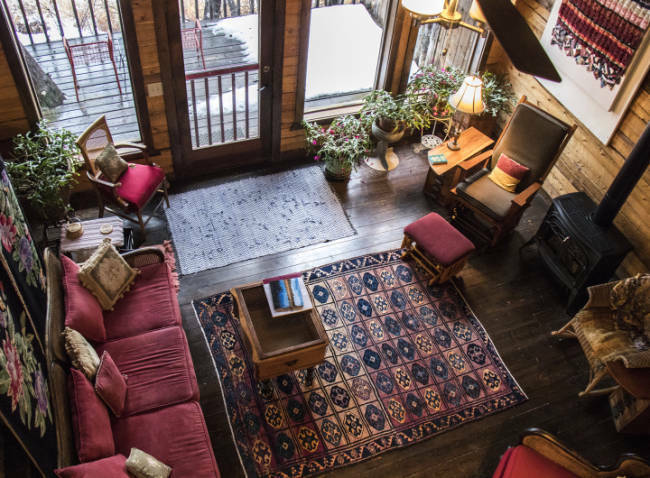 Willowtail Springs caters to artists and writers with packages combining workshops or art studio space with lodging. Tai Chi is another focus at Willowtail Springs where guests can schedule a private Tai Chi workshop session. 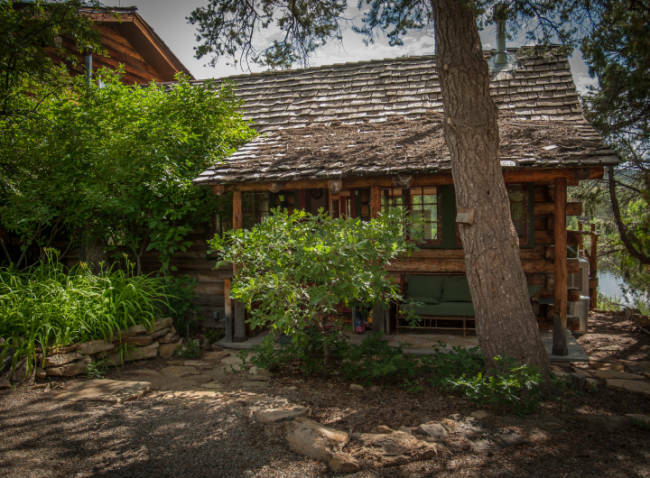 Willowtail Springs can accommodate family reunions, artist retreats, and even small weddings. 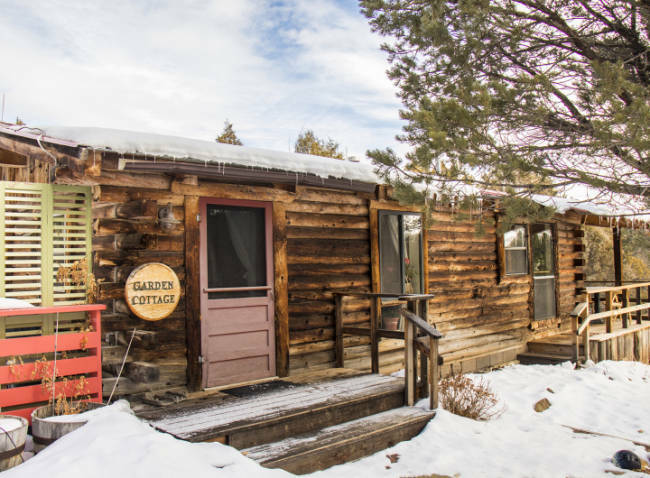 The ambiance on the property is astounding with misty streams and lakes as well as awesome sunrises and sunsets above the Colorado mountain peaks. 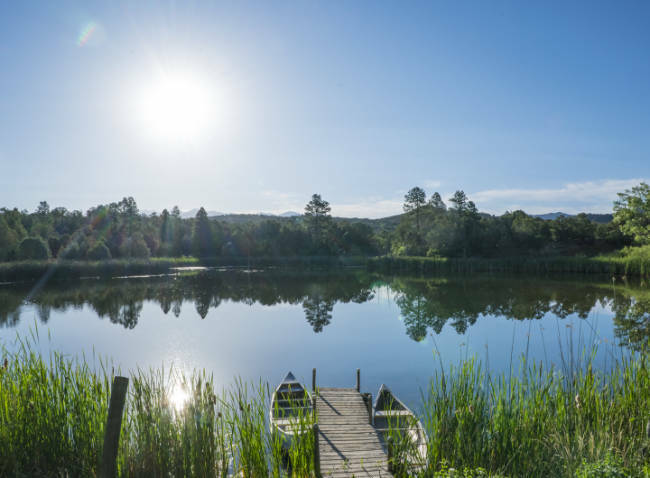 The grounds are highlighted by gardens and meandering forest trails as well as private lakes, one of which is stocked for catch and release big mouth bass fishing. 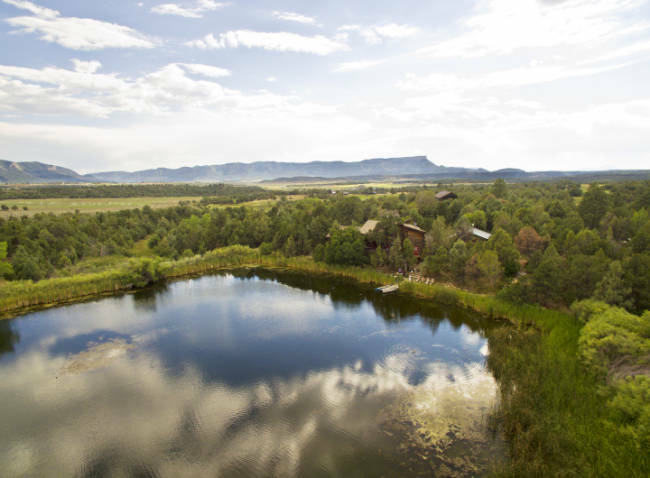 The Willowtail Springs property and surrounding lands offer opportunities for mountain biking, hiking or horseback riding as well as casual exploration. Wintertime alpine and cross-country skiing and summertime golfing and whitewater rafting are also offered nearby. Mesa Verde National Park is just around the corner and as if that was not enough, there is also the Ute Mountain Tribal Park offering pristine petroglyphs and the Anasazi Heritage Center highlighting the history of the Ancestral Puebloans. 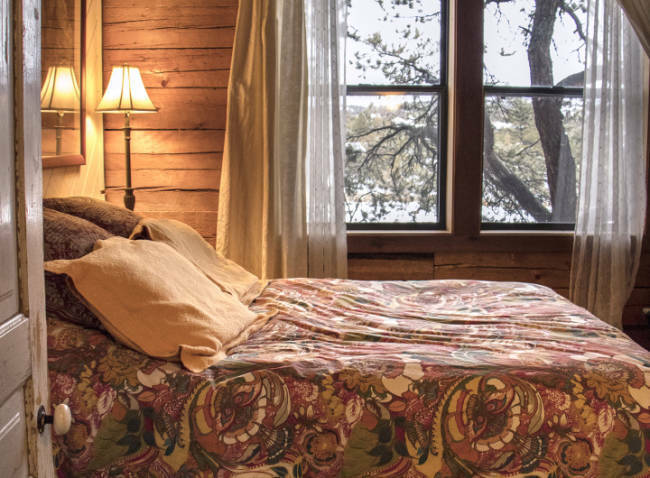 The Bungalow Cabin features a queen-sized pillow-top bed with lake views in the bedroom. The sunroom includes two twin-sized beds that can also be scooted together to make a king-sized bed. The private bathroom features a hand-held shower and an antique claw foot bathtub. 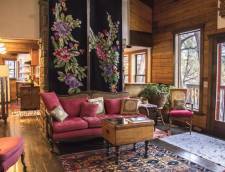 Details include wood carvings, stained glass, hardwood floors and awesome views every which way you look. 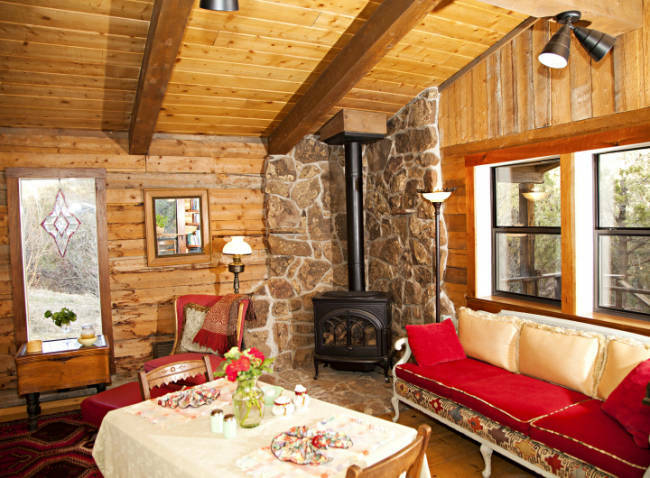 The Bungalow Cabin has a fully furnished kitchen and barbecue on the patio. 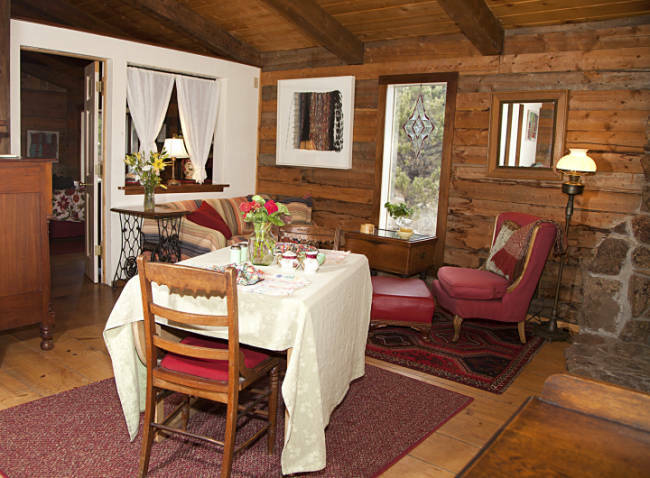 Guests will love to cozy up for dinner inside in the dining room or there are plenty of outdoor dining locations surrounding the cabin. 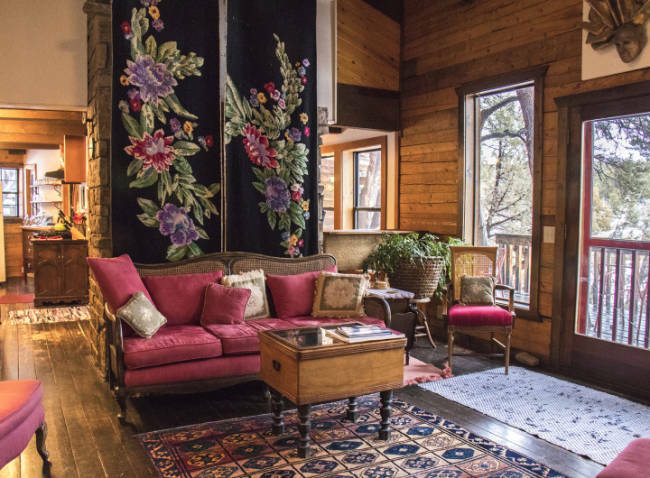 The private porch features cozy cushioned chairs perfect for taking in the views of the garden, forest, fruit trees and the lake. 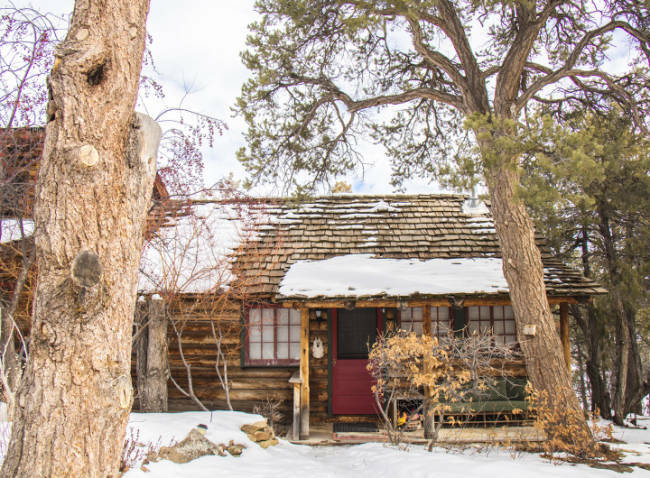 This Bungalow Cabin would be perfect for a couple or up to four people. The Garden Cottage is secluded in a private setting with landscaped gardens and wildlife all around. The bedroom features a queen-sized pillow-top bed with garden views. A twin-sized daybed in the living room has a pop-up trundle bed that together can create a king-sized bed or two twins. In addition, a single futon chair makes into an individual bed that can be placed just about anywhere in the cabin, including the porch or in front of the fireplace. 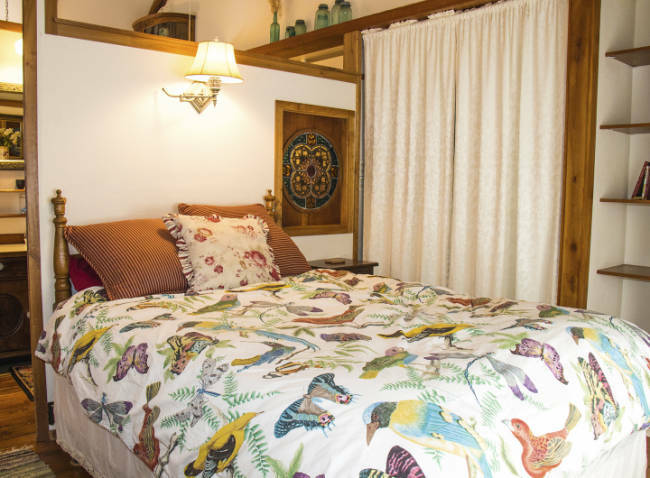 The Garden Cottage has a private bathroom with a stall shower, tub and features an artistic hand-painted floor. 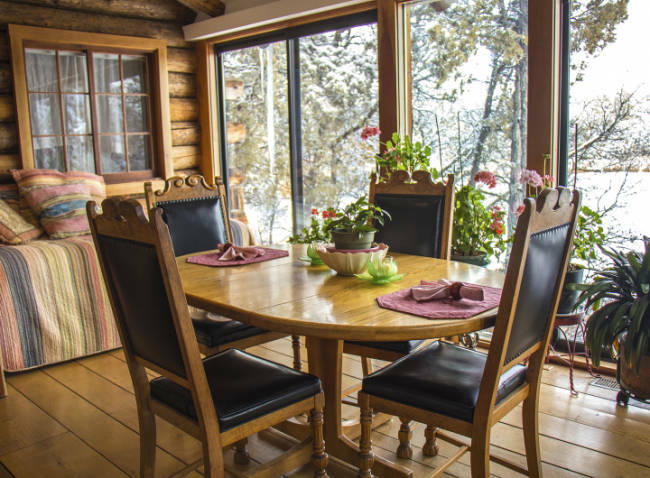 A fully furnished kitchen with dining area offers indoor dining comfort with views of the forest. The covered deck also features a fireplace and overstuffed comfy furniture as well as a table and chairs for outdoor dining. 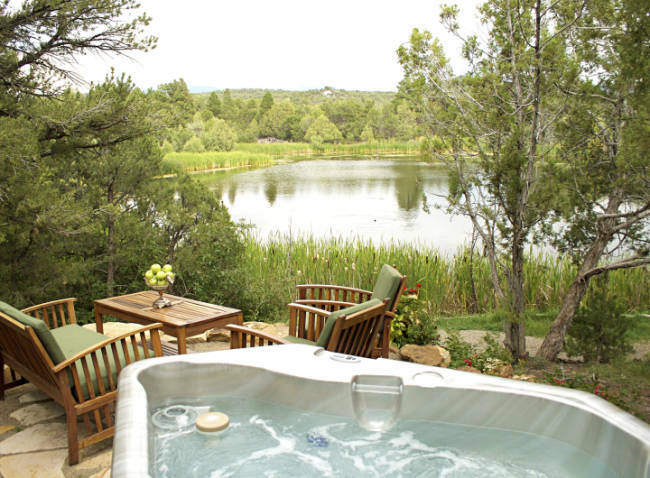 Guests will love the privacy and beautiful views of the forest, garden and the La Plata mountains from a couple of vantage points. 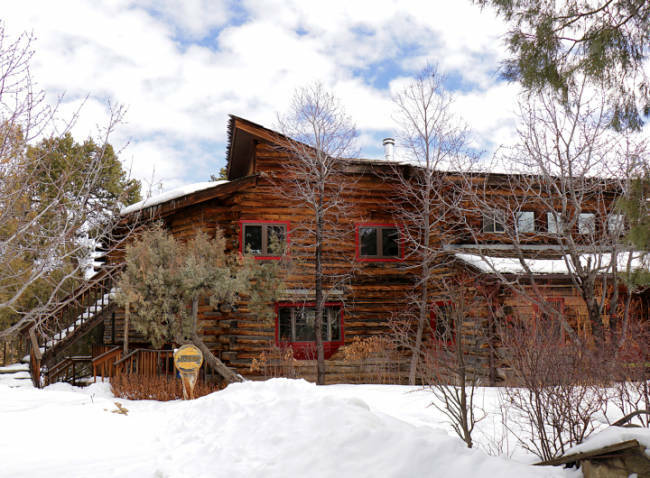 The Lake House is a luxurious three bedroom log home overlooking a lake and the mountains in the distance. 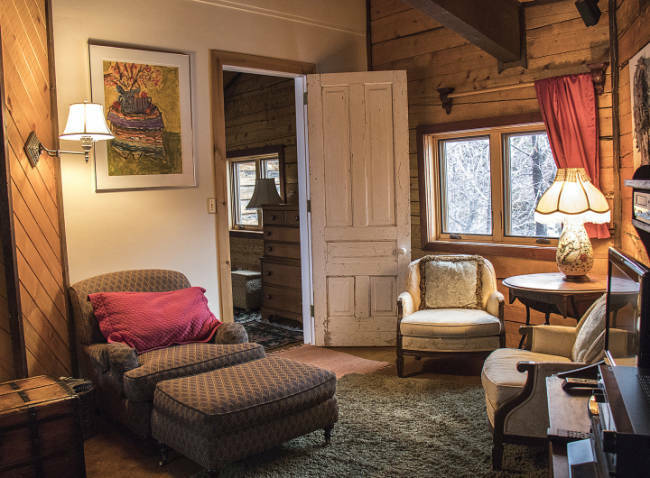 The first-floor bedroom features a queen-sized bed, private porch, and entrance. The main floor also houses a half bathroom along with the fully furnished kitchen and dining area. 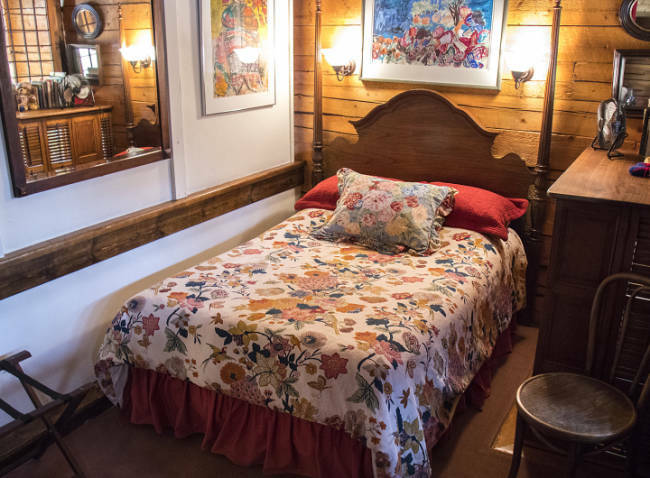 Upstairs, the master bedroom awaits with a queen-sized pillow-top bed, lavish linens, original artwork and vintage quilts. 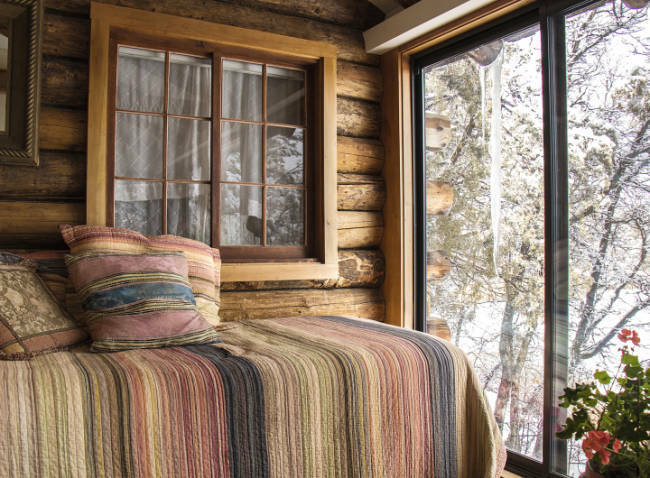 This master bedroom features giant windows with panoramic views of the lake and mountains. The third bedroom is upstairs in the loft with a double-sized pillow-top bed covered with fluffy pillows and views over the treetops. The full bathroom is next to the sitting room with a walk-in shower. A futon chair can be made into an individual bed or lounging spot. 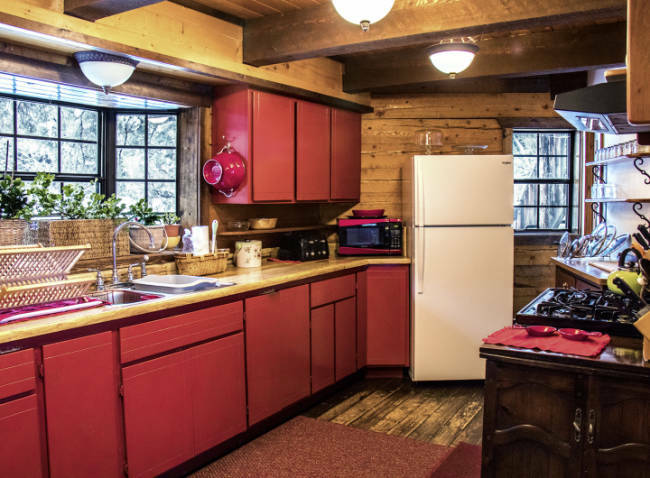 In addition, the Lake House features a great big kitchen with all the furnishings and views of the lake and garden. The large deck is great for cooking on the gas barbecue, dining on the table and chairs and wildlife viewing. 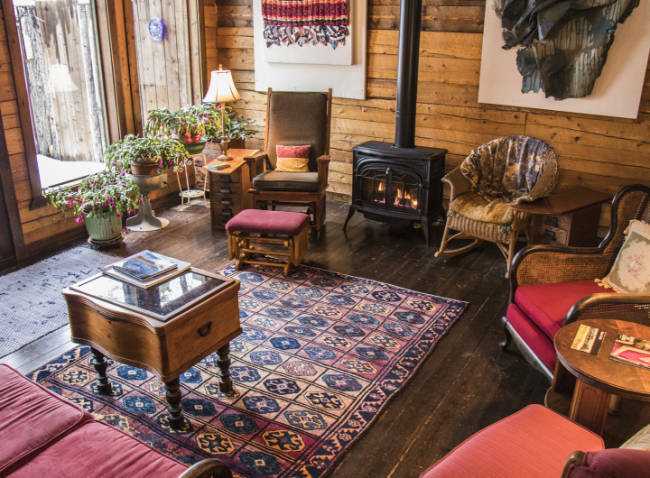 Other features of this awesome Lake House are a original artwork, stained glass highlights, antique furnishings and a full library with many subjects covered including games and poetry. The Lake House offers supreme accommodations and is very beautiful. The Lake House will accommodate up to six people comfortably. 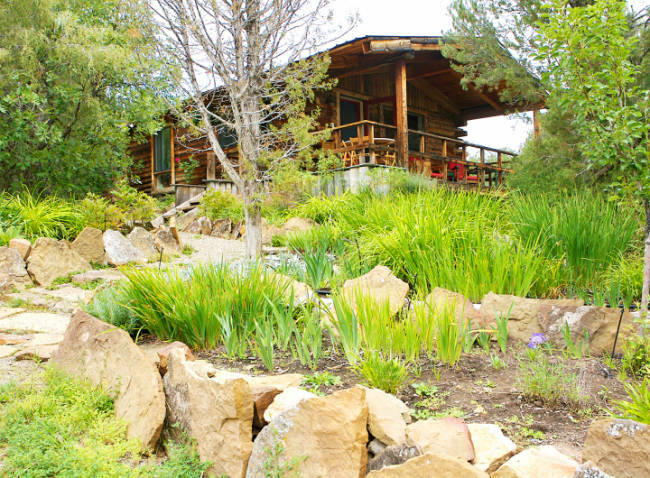 The bungalow overlooks the lake and mountains offering fantastic views. It offers one queen bed and a day bed (two twins, or convert into a king), complete with a full private bathroom with a clawfoot tub and a kitchen. The bungalow sleeps up to four people. 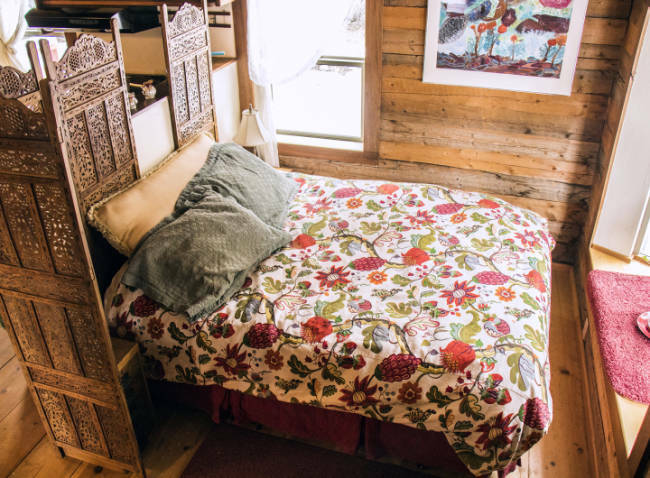 This cottage offers a queen bed and a day bed (two twins or convert to one king), a full private bathroom with walk-in shower, kitchen, and living room. The Garden Cottage sleeps up to four people. This three bedroom home offers one queen bed in the upper-level bedroom, one double bed in the loft bedroom, and one queen bed in the bedroom that is on the main floor level. The home also includes a full kitchen, dining room and a futon, and has a full private bathroom and a second half bath. Payment is required in full at time of booking for 4 nights or less. A deposit of at least one-half the total amount is due when booking for 5 nights or more. The remainder is due 30 days prior to your stay. There are no refunds, but the lodge will attempt to reschedule you within two years. Guests are responsible for payment of dates agreed upon regardless of actual arrival or departure dates. Rates Policy: Rates are based on double occupancy. Each additional person is $15 per night. Minimum 2 nights stay required. No fires allowed on the property.